MOSCOW, September 4. /TASS/. The manned spacecraft Soyuz MS-09 might have been damaged during tests at the Baikonur space site, a source in the space rocket industry told TASS. "The workmanship flaw might have been committed at the space rocket corporation Energia. Also, there is a possibility the spacecraft might have been damaged at Baikonur. The space corporation Energia carries out control, while testing is done at the space site," the source said. Asked how it could happen the hole had remained unnoticed since June, when the spacecraft arrived at the ISS, he replied: "Suppose some sloppy worker made a mistake. Then he felt scared and patched up the hole with special glue. For a long time it remained unnoticed. Then the glue dried up and dropped out." At the space site there is a special hangar for assembly and testing, where Energia specialists examine Soyuz spacecraft thoroughly before launch. 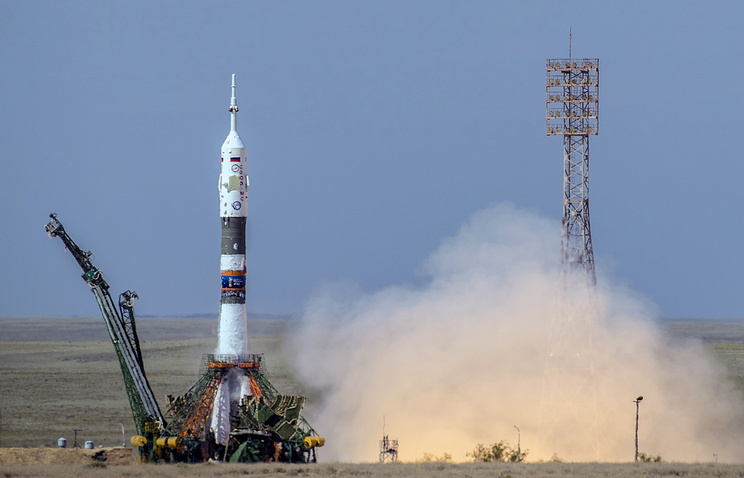 There has been no comment from Russia’s state corporation Roscosmos on the possibility Soyuz might have been damaged at Baikonur. Roscosmos chief Dmitry Rogozin earlier said Soyuz MS-09, docked to the ISS, had been damaged from the inside and the space rocket corporation was in the process of identifying those responsible. The impact of a meteorite has already been ruled out. Investigation is in progress into who had access to the spacecraft, what manipulations and works were performed, and who supervised them. On August 30, instruments registered falling atmospheric pressure inside the ISS. The crew examined the compartments of the station and the spacecraft docked to it one by one to expose a two-millimeter hole in the hull of the Soyuz MS-09 spacecraft. In the evening of the same day it was patched up with several layers of epoxy resin. The air pressure on board the ISS returned to normal. On August 31 the crew reinforced the patch.